The best new burger in Philadelphia is an absolute mess! An ungodly train wreck of ingredients served to you in a location devoid of glitz, glamor, panache or any of the other adjectives our beloved city’s slew of worthy new burger joints can lay claim to. It is primal, carnal, evil and glorious. It is more Ronaldo than Ronald. It is 5 inches tall and a hemisphere of flavor wide. It is the reason I may never have to venture into Newark, NJ again. Game-Set- Match, checkmate, “you sank my battleship“, Yahtzee! and “boom goes the dynamite (as uttered by Cleveland Brown)” all wrapped up in wax paper and delivered piping hot on a plate. 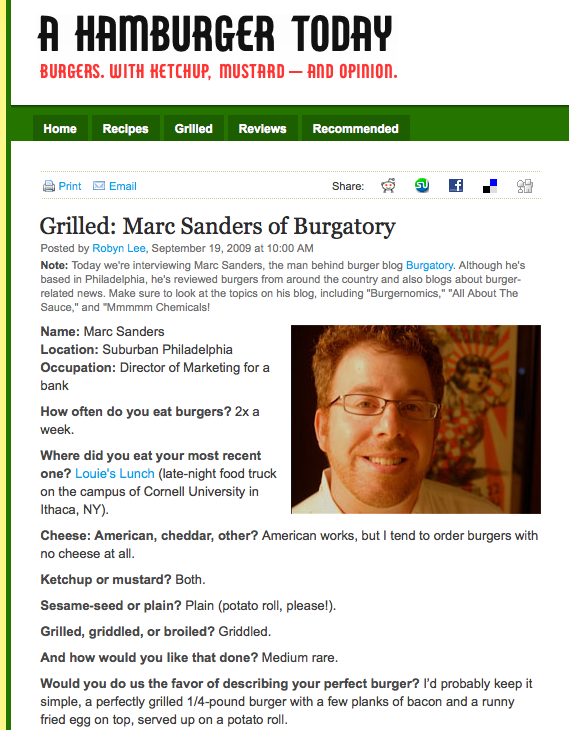 I was first introduced to the concept of Brazilian hamburgers by Jason Perlow’s review of Hamburgao in Newark on his pioneering food/tech site offthebroiler. After that, and thanks to the coincidence of some of my work locations being in that neck of the woods, I trekked to the Ironbound to get my hands on a Cheese Egg as often as possible. And whenever possible I dragged others, first my wife and daughter and then later my boss and some work colleagues. The Brazilian version of a hamburger just rewrites the rules and is guaranteed to be a memorable experience (even if it were bad – and they have never been – it would be memorable for so many reasons including the atmosphere, the language and the ubiquitous pastries). Now to find a location so close to home serving these gems…needless to say I’m a happy happy guy. The Picanha Grill Lanchonete is the sister restaurant to Picanha Brazilian Grill, which sits further south on Castor Ave towards Oxford Circle and offers all-you-can-eat rodizio style dining. In fact, the Lanchonete will be moving next door to the grill later this year, which is good news for anyone visiting from the City or the ‘burbs because it makes the trip about 10 minutes shorter (just off the Roosevelt Boulevard). It features a long bar with high chairs for eating while watching Brazilian daytime TV and a row of tables for more refined noshing. In the barren wasteland that is this strip of Castor Ave, the inside of this joint yearns for a hipness above what is both expected and probably attainable considering the rivers of asphalt just steps from any seat in the place. The menu features several different variations on the kitchen sink theme, with your choice of hamburgers, chicken or hot dogs buried underneath. Even if this wasn’t a burger blog I’d insist that this be your point of entry to the cuisine as, in my opinion, it provides the perfect foundation (both in shape and taste) for the bevy of toppings which run the gamut from the mundane (lettuce) and mandatory (bacon) to the ridiculous (bananas) and sublime (yes, potato sticks belong on your sandwich!). My Portuguese is negligible, despite a short period of time living in Rhode Island (where have you gone Vinny Pazienza? ), so I am still a bit lost as to how the description of my burger on the bi-lingual menu has more ingredients in Portuguese than English? (11 items in Portuguese and 10 in English). I’m jut going to assume the real secret to the deliciousness of this concoction is that magical 11th ingredient which us estrangeiro’s are forbidden to possess (like bikes in the United Arab Emirates or that Goethe quote about “…what we cannot understand”). Eating this burger gracefully is impossible. Even after cutting it in half (a tactic both to increase one’s ability to grip the darn thing and to cause me to pause long enough to weigh the downside of consuming the whole thing in one sitting) didn’t render it manageable. An ample supply of napkins were key as were the polite pauses in conversation offered by the server who told me about his family in Sao Paolo and his impressions of Philadelphia after having only been here a short time. In a year where so many great burger joints have opened in the City, the arrival of Picanha Gill Lanchonete has gone completely unheralded. Nary a tweet, yelp or peep from a chowhound has tipped off the masses to this joint, and that is a shame. I hope you’ll stray from your comfort zone at least once to test this place out (or their new location when it opens) because your perception of what makes a great burger will be changed forever. Additional thoughts…Fries With That Shake‘s friend girlscantell needs to diagram this thing for her next set of placemats….the roll at Hamburgao in Newark is a bit different and much better, but it is about an hour and a half away and will set you back $20 in tolls to get there so I am willing to forgive…I was in the area for business and to test out the kosher burger at Holy Land Grill (located just a few doors down). Not sure if I will ever actually make it there…yes, it is called a hamburger but it has cheese on it, I think cheese is just a given. psst. i’d be delighted to diagram that crazy burger. send me a note and so i can learn the parts! xo! This is one of the most popular hamburguers here in Brazil. Thanks @soulomaeda. I have been learning Portuguese so I can enjoy reading your burger site, too.